In wells below the smooth top, there are electric heating elements. These elements radiate heat which passes up through the glass top to the surface on top, and then via the surface to the pot on top of that burner area. In wells below the smooth top, there are electric elements. They generate a magnetic field which does not radiate heat. The magnetic energy transfers up through the glass top to the pot on top of the burner area. The magnetic waves “excite” the metal in the pot, causing the metal to get hot. The metal in turn then heats up the food. Induction is considered more energy efficient as it skips the step of having to heat a burner on top; and just heats the cookware directly. The induction heating elements DO NOT cycle themselves off and on. They emit a steady constant precise power, which some say is so precise that you can make it steady and gentle enough even to melt chocolate without the need of a double boiler. If a magnet will stick to the bottom of a canner pot, then it will work with induction. If it won’t, then the canner won’t work with your stove top. (What the pot bottom needs is some iron content in its metal.) For that reason, induction won’t work with aluminum, glass or ceramic cookware, etc. Induction burners are more expensive. 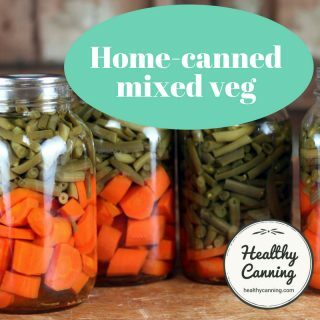 Both types of glass tops, regular and induction, can in theory be fine for canning on. If you have a glass top / smooth top / induction stove and want to steam can, as of summer 2016 there is only one model of steam canner on the market currently certified for that. 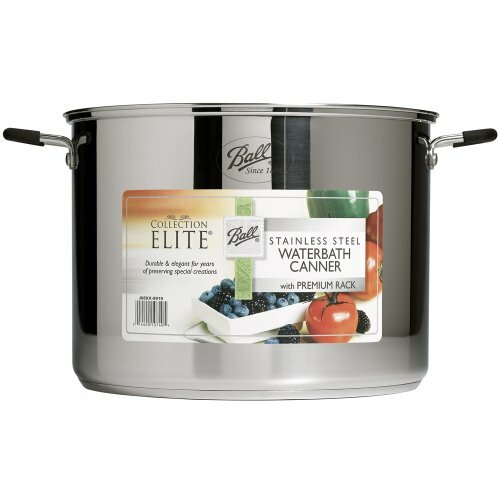 That is the Victorio Stainless Steel Multi-use Canner . These traditional Graniteware canners usually have ridged bottoms. The canner needs to have a flat, non-ridged bottom. The large Graniteware water bath canners traditionally had ridged bottoms designed to deliberately limit contact with a burner to prevent warping of the bottom of the pot. Therefore the old-fashioned, Graniteware water bath canners might not work. Apparently some users have reported that their induction stove manufacturers have even advised that the enamel on the Graniteware pot might melt onto the stove top. Some question the weight load, especially when a large pressure canner is double-decked. 1. Induction burners don’t cycle. With Radiant Heat (Regular Glass Top Stoves), the expressed worry by the experts is actually something quiet different: it’s about the burner actually turning itself right off. The National Center for Home Food Preservation (NCHFP) writes, “Many of these cooktops have automatic cut-offs on their burners when heat gets excessive. 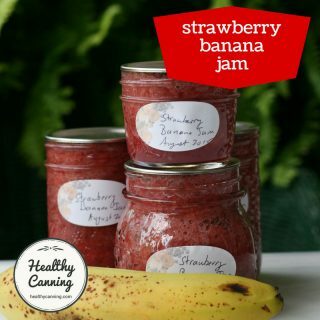 If that option is built in, and the burner under a canner shuts off during the process time, then the product will be underprocessed and cannot be salvaged as a canned food.”  National Center for Home Food Preservation. Canning on Smooth Cooktops: Accessed March 2015 at https://nchfp.uga.edu/publications/nchfp/factsheets/smoothtops.html . Note that the NCHFP is talking about a safety, emergency cut-off when heat becomes excessive that turns the burner right, completely off. This is completely different from the normal operation of the radiant heat burner, cycling off and on as required to maintain the current heat so that it doesn’t go higher than you requested via the stove dial. The burner is not shutting off. There is no pressure being lost, the requested heat is being maintained — as you can tell from your dial-gauge or weighted gauge. Either type of gauge will let you know if the burner has done an emergency shut off, because you will see / hear the corresponding loss in pressure. So you do not need to worry about the normal operation of cycling of the radiant burners. 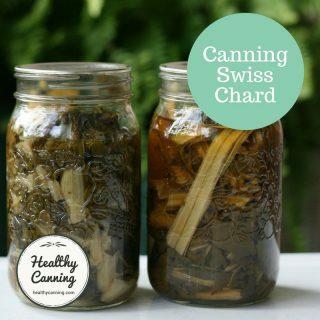 And, if you have regulated your heat down to just enough heat to maintain the proper pressure on your pressure canner, as you need to do anyway for a successful canning session, you should never experience the emergency shut-off, either. 2. In both cases, for both glass and induction, the canner needs to have a flat, non-ridged bottom. The pot base should extend out past the burner by no more than 2 – 3 cm (1 inch) on all sides. 3. Check with your stove manufacturer to see what the maximum weight load is that they support for the stove top. Some stove manuals may advise “max 50 lbs weight load” on the burners. It’s best to check your model manual and see what it says, or if it says nothing, contact the manufacturer. For instant, the Maytag “Gemini Smoothtop Double Oven Range” manual says canning is fine on the stovetop, and even has a section dedicated to home canning usage of the burners. Presto is the only manufacturer (as of spring 2015) saying that their pressure canner models currently in production are safe for glass stove tops. Note that while Presto supports double-decking of pint jars in its 23 quart canner for pressure canning, it does not support the same for water bath canning. They don’t say why; one could speculate that it might be a weight issue impinging upon their claim to support glass stove tops. Read more about Presto Canners. Some people worry that with induction, the magnetic waves will reach up to the top of the jars in the canner, excite the metal lids and bands, and interfere with a seal happening. We have seen no research on this. 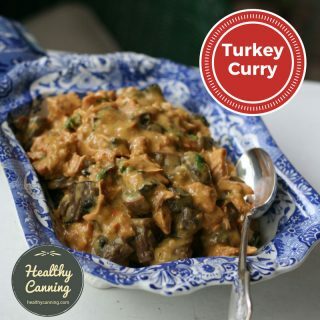 Can I can on my smooth cook-top? Be sure and read your manufacturers guide to determine what recommendations they are making. If you no longer have their guide, contact them via their toll-free consumer numbers. Some older glass-tops broke under the weight of the canner (water, jars and food). There can also be damage to the cook-top from excessive heat reflected around the canner, especially if the canner is larger than the burner circle. The damage can range from discoloration light colored tops to cracking of the glass tops. Note that dragging any pot across a glass top can cause scratching. 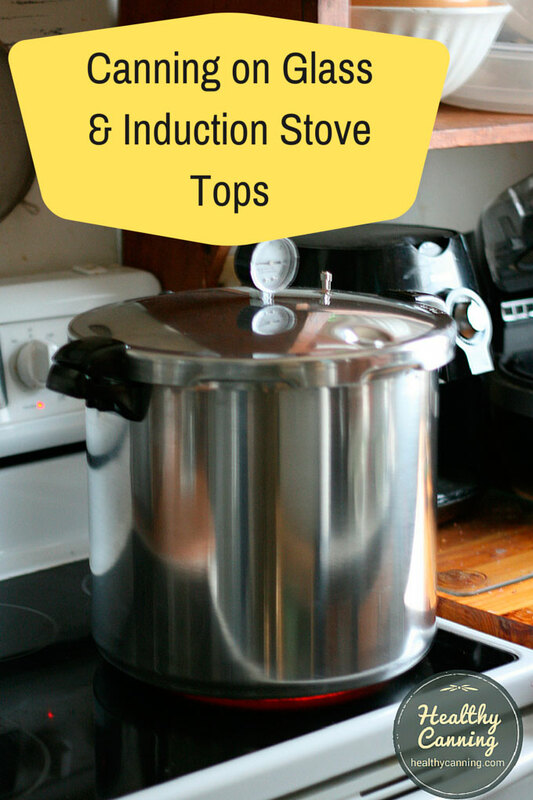 Many of these cook-tops have automatic cut-offs on their burners when heat gets excessive. If that option is built in, and the burner under a canner shuts off during the process time, then the product will be under-processed and will be a risk for botulism food poisoning. If your manufacturer only recommends a pot of equal or smaller diameter to the burner, you can create a boiling water canner from any flat bottomed stock pot. 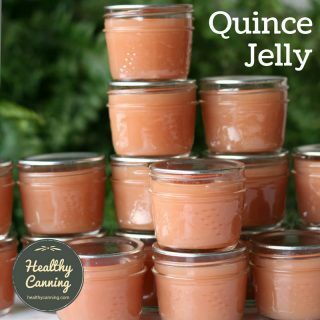 The pot used as a boiling water canner must also be large enough to have lots of water boiling freely around the jars, and at least 1 inch over the tops of jars. Some newer pressure canners have a special bottom that was created to accommodate burner diameters. 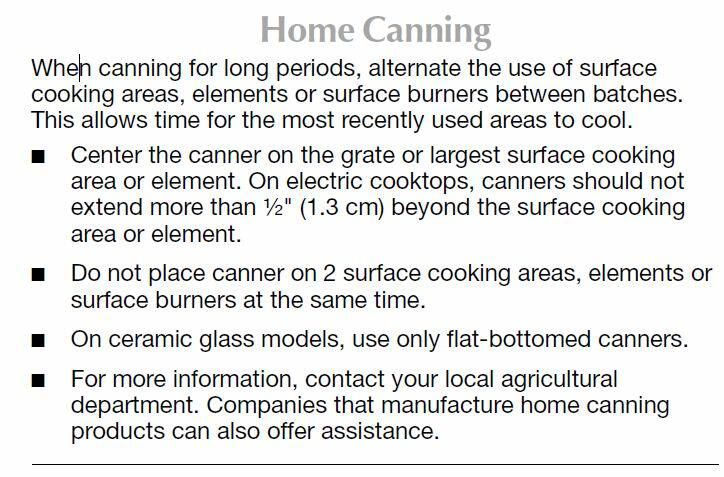 Check with the manufacturer of your smooth glass or ceramic top stove for their recommendations on canning. Use flat bottomed canners if allowed to can on them. Keep the canner as close in diameter to the burner as possible. Piper, Jessica. Canning with a Glass Top Stove. Ball Corporation. May 2014. I have a Presto 23 at canner. This is my first time canning. The burner kept kicking off on my smooth top range while cooking. It never stopped rocking so I did not restart the time. Is there a safe alternative portable burner that can be used? I had to keep watching my stove the entire time in order to turn it back on. On flattop stoves, the burners do cycle off and on. That is on purpose, to maintain the temperature that you indicated you wanted by using to stovetop burner controls. If the burner didn’t cycle off at times, and instead stayed on non-stop, your pressure canner would super overheat and that would be bad. When the thermostat in the burner notes that another jolt of heat is needed to maintain the temperature, then the burner cycles back on. All of this is in order to maintain a steady heat being given off by the burner. The critical thing to note is that the temperature inside the canner is being maintained — as you can see by the weight constantly rocking throughout. Hi Randal, do you have recommandations on the choice of an induction adaptor disk to use with a Presto 23 quarts canner? I am shopping for one and it is confusing. Thank you! Hi there, I don’t have any specific recommendations for brands. I asked a few Master Food Preservers but they haven’t heard of any specific brands yet either. You could ask in some canning groups on FB. If you do end up with one, I’d love to eventually hear what model you got and how it is performing. Randal, thank you for mention my article about induction disks. 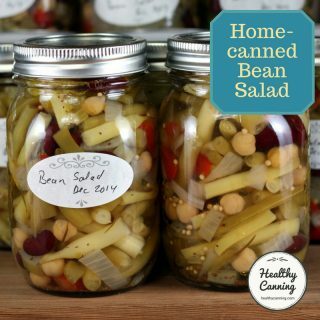 I would be glad to improve the article if this can help the visitors of healthycanning.com. I will add new items and a comparison table.